Home » burn fat » diet » weight loss » Understanding Sauna Weight Loss - Is it Sustainable Long Term? You step into the warm room with a towel tightened around your chest, feeling the steam pulling into your nostrils and surrounding every inch of your body. You lay your head back, feeling the warmth seep through your pores and the sweat breaking on your forehead. You are completely relaxed. You are attempting sauna weight loss. It is easy to get confused when you start to learn about sauna weight loss. There are a lot of misconceptions floating around out there about this, so let's get one thing clear right from the start: sitting in the sauna is not a weight loss plan. Rather, it is a tool to lose weight. Instead of thinking of the warm, dark room of the sauna as your sole means of losing weight you should consider it a great way to enhance the results you are gaining through other means. This is important because if you try to sweat off the pounds through sauna weight loss alone you are more likely to find yourself chronically dehydrated than skinny. When you lose weight from sitting in the sauna you are sweating out water and some impurities from the body. 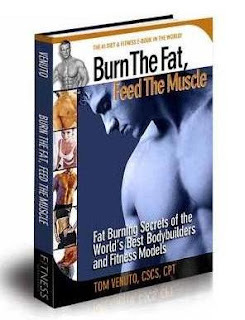 You are not burning actual fat stored inside your body. The weight loss is essentially water from the sweat, which means it will come back on extremely fast if you are not doing other things to achieve weight loss. If you are eating a lot of unhealthy foods and living a relatively sedentary life with very little active movement, then you cannot expect to sit in the sauna everyday and lose weight permanently. In fact, sitting in the sauna for too long or too often can be extremely unhealthy. When you use the sauna correctly you can shed a few extra pounds on a consistent basis. The key is to set up a regular workout program and change some of your eating habits so that you are losing weight in a healthy manner. 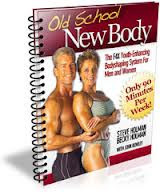 Sauna weight loss is then added into the overall program to enhance your results. You should start sitting in the sauna for 15 or 20 minutes a few times a week and slowly increase the number of days that you enjoy this relaxing pleasure. You may want to do this after working out as a way to refresh your system or you may do it on days that you take a break from workouts in order to restore your body on those rest days. With time you can probably sit in the sauna for a half hour, possibly a bit longer. You still will not need to do this every single day and sitting in there for long periods of time is not recommended. The goal is to stay long enough to work up a good sweat and cleanse the system. You can use the time to relax, close your eyes, and ease the soreness in your muscles from your workouts. When you do this consistently along with other efforts to lose weight, you will find that sauna weight loss offers a reduction of couple pounds most weeks. This will give you greater mental satisfaction which makes it more likely that you will continue with your weight loss program long term.